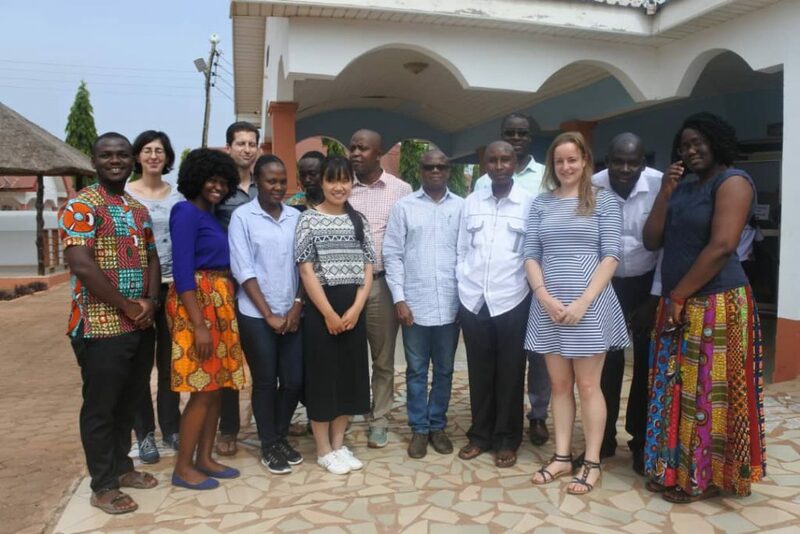 Thirteen BRECcIA team members participated in the first thematic workshop organised by the Resilience Research Team in Tamale, Ghana from 28-29th November 2018. The BRECcIA team had representatives from University of Ghana, University of Southampton, Masinde Muliro University of Science and Technology, and WaterNet. Dr Godfred Jasaw from the University for Development Studies (Wa district, Ghana) also participated in the workshop and contributed by discussing his previous experiences in conducting research in dryland areas of Ghana on environmental management and sustainability. The participants came from diverse backgrounds within the physical and social sciences, which led to interesting and productive discussions over the 2 days of the workshop. The Resilience workshop’s main objectives were to identify some key research questions for the Resilience Research Theme, to build synergies with other Research Themes within BRECcIA, (Factors, Capacity Building, and Policy Research Themes), and to build collaborations across countries (Ghana, Kenya, and UK). We discussed water and food security issues particular to Ghana and Kenya as well as the potential for a coordinated cross-national Resilience research programme. Some participants delivered presentations on specific thematic areas such as capacity building, factors and policy, and how these could be integrated into research on resilience. The potential for developing overarching research questions that could link to different research themes and develop the BRECcIA research agenda over the next two years was also debated. – the possibility of delivering policy briefs to link to the policy makers and decision makers in order to enhance the research impact. This was a great opportunity to get to know more closely other researchers of the BRECcIA team and to discuss with people from different backgrounds and disciplines about the main challenges of water and food security in Ghana and Kenya. Because everybody contributed from a different perspective, the discussion was interesting and insightful. We will organize more events like this one to facilitate the establishment of effective interdisciplinary research approach within the project. The next chances to meet will be a workshop in March organized at the University of Southampton and the BRECcIA annual meeting in July in Malawi.